This Italian-South Korean brand has been designing clothing for over a century but made its first foray into sportswear in the 70s. 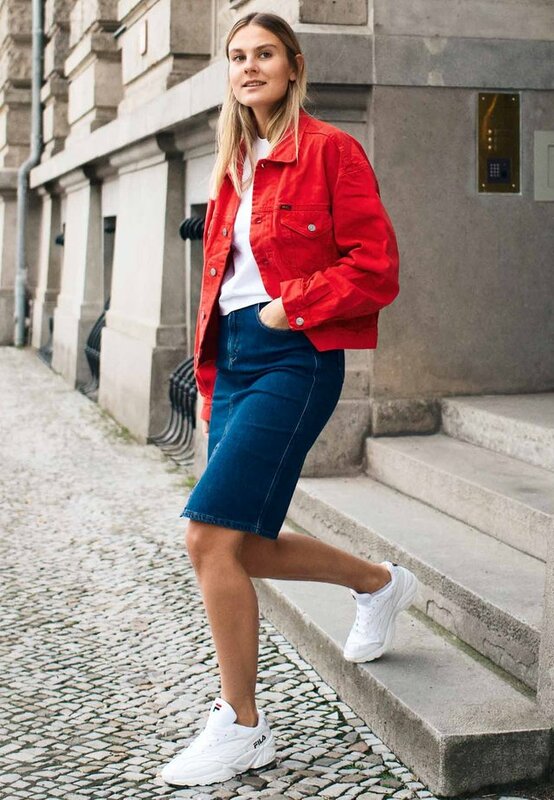 With an aesthetic that’s still rooted in its golden years, pieces by Fila bring a touch of old-school athleisure to your everyday look. Fila has the whole family's gym kit in the bag. From lightweight trainers to comfortable tees, it’s got every activity covered. For men, a supportive running shoe from the brand is designed to flex with your foot and enhance your morning jog. Afterwards, you can get out on the court with loose shorts that won't restrict your most dramatic side lunges. The label’s slick track jackets are perfect for layering during grey days. In a primary-hued palette, these pieces transcend effortlessly from the field to the bar. Wear with a stiff-collared polo shirt and your favourite slim fit jeans for an easy Mod look. The kids’ range has plenty of smaller sizes in these staples if your mini Murray also wants to experiment with a vintage vibe. Fila has perfected nonchalant street style. Team a tennis dress in a colourful graphic-print design with a glassy black bomber jacket and slouchy ankle boots for rest days. Alternatively, build an outfit from the ground up by using our chunky trainers as core pieces. Team a pair in a soft shade with a velvet dress for a current-season update on the 90s trend. To embrace sporty meets smart, wear the brand’s high-tops with cropped trousers and a boyfriend shirt to the office. The comfy shoes will put a retro spring in your step on the commute.